Sparrow’s Nest of the Hudson Valley provides two meals, once a week, to the families of caregivers and children diagnosed with any type of cancer. Caregivers are defined as legal guardians of children, under the age of 18, living in the home. Caregivers and/or children diagnosed with any cancer that requires chemotherapy, radiation, or surgery qualify. All recipients must live within a 35 mile radius of the charity’s health department-approved kitchen in Wappingers Falls. Sparrow’s Nest of the Hudson Valley was created in 2012 with the simple idea of cooking for the families of local moms diagnosed with cancer. The dream to help these caregivers of children started with 6 families and has grown into feeding over 1500 people since the charity’s inception. In June of 2017, the charity expanded its mission to include children diagnosed with cancer and in April of 2018, the charity expanded its mission to include a 35 mile radius from our kitchen. With your support, and the help of our local business community, we have not turned away a single family fitting our mission statement. Because of your generosity, word of our mission continues to spread and the need for warm meals and big hugs continues to grow. This charity is about so much more than food. It is about community. It is about offering stress and financial relief to a family whose world has been turned upside down. It is about providing homemade dinners to families who have no time to cook and giving recipients precious time to focus on their families. It is about giving these families some normalcy, when nothing seems normal at all. Thank you for your continued support of our mission. Without you, we could not touch the lives of so many. Sparrow’s Nest of the Hudson Valley is committed to equitable treatment and the elimination of discrimination when servicing all our recipients. We believe in creating an environment that embraces all. Sparrow’s Nest of the Hudson Valley is also committed to diversity in all staff, volunteers and board members, providing a safe, respectful workplace for all our members. 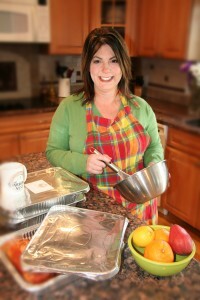 Sparrow’s Nest cooks and delivers two trays of homemade food each week to the families of caregivers and children with cancer who reside within a 20 mile radius of the Sparrow’s Nest Kitchen in Wappingers Falls, NY. All food is prepared in our Board of Health-approved kitchen located in Wappingers Falls, NY. Sparrow’s Nest continues to feed approximately 500 people each year. Sparrow’s Nest assists Recipients with food and additional support throughout the year by providing back-to-school supplies, Easter baskets, holiday gifts, and more. Sparrow’s Nest cooks for families with children 18 years and younger living in the household of caregivers who are undergoing chemotherapy, radiation, or surgery due to ANY type of cancer diagnosis. 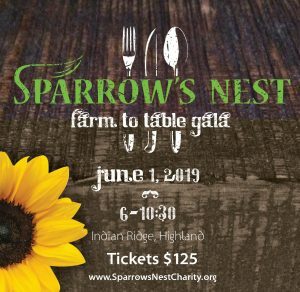 Sparrow’s Nest was founded in 2012 and prides itself on being a grassroots organization which uses all donations to service local residents in the Hudson Valley. Since 2014, over 500 men and women have joined Team Sparrow at one of our destination runs. All monetary donations to Sparrow’s Nest are tax deductible. 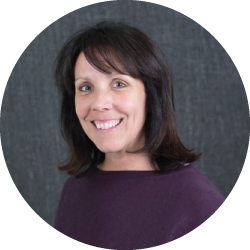 Krista Jones has lived in the Hudson Valley for over 20 years, brought to the area as a radio reporter on WDST and WKNY in Kingston. She later took a position as News Director/Morning Show Co-Host on WRNQ-FM/Clear Channel Radio of the Hudson Valley and served in this capacity for over 15 years. After marrying and giving birth to three beautiful red heads, the local mom was looking to do something more. When her friend, a mother of three, was diagnosed with colon cancer, Krista’s immediate response was, “let me cook them dinner.” Night after night, the Hopewell Junction resident left warm, homemade meals on the struggling family’s doorstep. Unfortunately, several more of Jones’s friends fell gravely ill soon after; comforting meals were whipped up for all of them and their families, too. “I grew up with a mother who always had hot food on the table, and I felt that was an important ritual to pass on,” she explains. Not long after, Sparrow’s Nest took flight and was started in 2012, feeding four local families and has grown to an organization that has fed close to one thousand people since its inception. 2012 was a year of spreading the word, with appearances on the Bethaney Frankel show and saw great progress for Sparrow’s Nest. Camp Sparrow was developed to provide food and snacks to the patient’s children during the summer months. In addition, Sparrow’s Nest expanded its mission, where it will now include feeding the families of all legal caregivers of children, all under the watchful eye of Jones. Krista serves as the Executive Director and sits on many of the boards committees. She was chosen as a 2014 Pandora Hearts of Today winner, receiving $25,000 for Sparrow’s Nest. In the community, the charity continues to receive praise and recognition, being honored as the 2014 Organization of the Year Award from the Junior League of Poughkeepsie, 2015 Headliner Award from the Dutchess County Regional Chamber of Commerce. Also in 2015, Sparrow’s Nest was also chosen by the Dutchess County Organization of Women, as Charity of the Year. In 2016 Sparrow’s Nest received the Hudson Valley Wing Bowl Golden Clucker award. 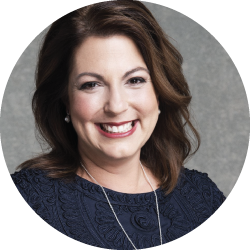 Krista was named Woman of the Year by the American Association of University Woman and was an Athena award winner with the Dutchess County Regional Chamber of Commerce. Jen Arco, originally from Westtown, NY in Orange County, has called Dutchess County home since the summer of 1991. She has lived in Wappingers Falls for most of those 25 years and shares her home with her two sons Nate and Cameron and their dog, CC (short for CupCake). Jen graduated from Cornell University in 1991 with a B.S. in Management and Marketing. She worked for many years in Sales Management, including a Regional Sales Manager position for Pella Corporation. 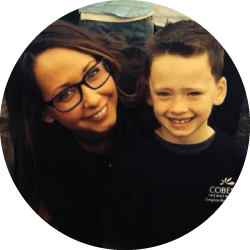 After having her first son, Nate, in 2001, Jen wanted to be close to home and worked for the family business, ARCO Protection Systems, from 2003 until 2011. In 2012, Jen decided that she wanted to put her business experience and skills to use in the non-profit sector and decided to pursue a Master’s Degree in Social Work. During her clinical internship, however, she decided that what she really wanted to do was work with adolescents in a clinical setting – a big surprise for her! After graduating with her MSW in August of 2014 and obtaining her New York State License in November of 2014, she began working for Astor Services for Children and Families in their Adolescent Day Treatment Program. In September of 2016, Jen returned to the place where she realized her purpose as a social worker, Arlington High School, where she is currently employed as a School Social Worker. 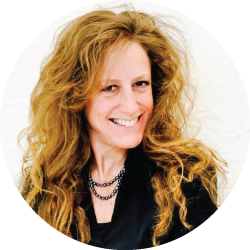 Jen takes particular interest in issues of school discipline practices and grief, and she is currently working toward certification as a Thanatologist. Jen got involved with Sparrow’s Nest in 2013, writing grants to raise money for the organization. Krista Jones invited her to be on the Board of Directors in January of 2015 and Jen has been President of the Board since April of 2016. Alexis Mills graduated from John Jay High School and attended Dutchess Community College. Since 2005, she has worked alongside her mother, Donna, at the family business, Complete Benefit Solutions. In 2010, she received her Health, Life and Accident Insurance License from Bryant & Stratton College. She is currently the Vice President at COBESO and resides in the Hudson Valley with her son James. Michelle Taylor landed in the Hudson Valley during the summer of 1998. Originally from Westchester County, she now calls the Hudson Valley home with her family in Wallkill. Michelle, can be heard locally on Hudson Valley radio during the mornings and mid-days in Sussex, NJ. With entertainment in her blood, Michelle’s grandfather was the host of ‘Coy’s Corner’ on WNBC-AM in the 1940’s. As far back as she can remember, Michelle has always wanted to ‘be on the radio’. Given the gift of gab, she set her site on her communications training and development and received her start in radio on WEBK-FM in Killington, Vermont in an extraordinary situation, as co-host for a female morning show. After co-hosting the show and wearing the News Director hat for five years, Michelle wanted to come home to her roots of New York State. When she arrived home, Michelle worked for WRNN-TV as their Bureau Chief for the Fairfield / Westchester / Rockland Bureau. Following this task, it was time for Michelle to get back into radio, learning of a position with Straus Media in Poughkeepsie, she became the part time Board Op for ‘The Cat’ on 96.1 / 98.5. With many hours and days of commitment, dedication and taking each challenge she was faced with, her full-time air shift as Michelle moved up through Clear Channel Communications, now iHeartRadio, running the Promotions Department for four years before throwing her hat to be the Program Director of LITE 92.1, in addition to Director of Community Relations. With just a brief hiatus, Michelle is back on the air on Q92.1 / WRNQ-FM, Poughkeepsie, NY featuring “Joe and Michelle in The Morning” and hosting mid-days on 102.3 / WSUS-FM, Sussex, NJ, and couldn’t be happier! Michelle has ventured into being ‘her own boss’, during her free time. She heads Taylor Entertainment with her mobile DJ business, voice over service and is an Ordained Minister. 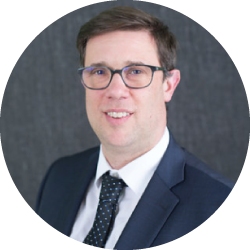 Philip J. Bronzi is the Senior Vice President, Commercial Lending Director for Rhinebeck Bank. A lifelong resident of Dutchess County, Phil had spent the majority of his professional career in Westchester, but moved back to Dutchess in 2012 and has been an active member of the community since. Phil currently sits as Treasurer for Sparrows Nest of the Hudson Valley. In addition, Phil is 2nd Vice Chair for the Anderson Center for Autism, Advisory Board Member for the Dutchess County Regional Chamber of Commerce, a member of the Strategic Marketing Council of Think Dutchess Business Alliance and a volunteer for St. Denis Parish. Phil got involved with Sparrows Nest after the passing of his good friend and SN Volunteer, Rob Kelly. Phil, and his wife, Jennifer, reside in Hopewell Junction with their five children: Nicolas, Sophia Rose, Dominic, Bella and Anthony. 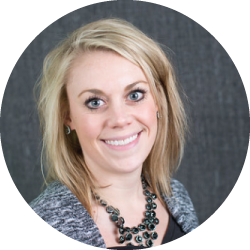 Chelsea Hertel is a Registered Dietitian (RD) as well as a Board Certified Specialist in Oncology Nutrition (CSO). She travels to several local cancer centers to provide Medical Nutrition Therapy to the oncology patients of the Hudson Valley. Patients with a wide array of diagnoses are counseled before, during and following cancer their treatments. Several of the patients she assesses in her daily practice are recipients of Sparrow’s Nest Charity. This being said, Chelsea joined the Sparrow’s Nest Board of Directors in hopes of providing insight on the nutritional recommendations for the oncology population. Knowledge is provided on potential nutrition related treatment symptoms which may impact a recipient’s acceptance and tolerance of meals. Furthermore, suggestions are provided for recipe modifications or future menu ideas to cater to the nutritional needs of recipients. 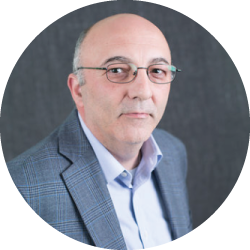 David Gasparri is an accountant with RBT CPA’s located in Newburgh, Wappingers Falls, Poughkeepsie and Wurtsboro. A Graduate of SUNY New Paltz in 2008, David joined RBT in January of 2009 and obtained his CPA license and continues as a Senior Accountant in the Wappiners Falls office. In addition to his roll on the board of Sparrows Nest, he currently serves a committee member on several local nonprofits. David currently resides in Wappingers Falls and has two daughters. Konstantinos (Gus) Tsoubris, Ph.D. holds a Doctorate degree in Clinical and School Psychology from Hofstra University and has been a NYS licensed psychologist since September 1999. He has worked in the nonprofit world for over 20 years. The last 13 years, he was the Associate Executive Director at Astor Services for Children & Families. He was responsible for the oversight of mental health programs for 3,000 children and families throughout the Hudson Valley. Currently he is working as a consultant to several agencies. Gus and his family were clients of the charity for 4 years. He brings the client’s voice to the board as well as his nonprofit experience.